If Alfred Hitchcock is the archetypal auteur, and Robert Altman is the ultimate actors' director, then Richard Attenborough is the consummate luvvie. Attenborough's career is that of someone so impassioned by acting and filmmaking that it leaches into every aspect of his craft, both in front of and behind the camera. Sometimes, as with Chaplin or moments in A Bridge Too Far, this passion becomes overbearing and compromises the integrity of what we are seeing. But sometimes, as with Shadowlands, it may be the thing which makes all the difference. 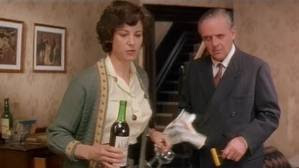 Taken at face value, Shadowlands could almost have been a Woody Allen film: its central relationship is a late-blooming romance between an elderly, shy, somewhat neurotic man and an inquisitive, playful younger woman. It is also a textbook weepy, being a story which is rooted in tragedy and which will have you in tears by the end. But while it doesn't deviate massively from either mould, there is much about Shadowlands which is intriguing and stimulating. For all the times when he has over-egged things, Attenborough does know how to assemble a top-notch cast, who sit in their parts like they were the only people who could possibly play them. 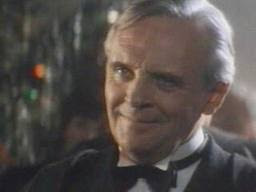 Anthony Hopkins has a head start in this due to his experiences with Merchant Ivory, but even so he inhabits C. S. Lewis like no-one before or since. His accent may still be a Port Talbot brogue rather than a clipped Cambridge twang, and there are moments in which he is rather theatrical. But he remains utterly convincing and completely endearing to an audience. The theatrical moments of the film are not especially problematic either, for two reasons. Firstly, and perhaps obviously, it is adapted by William Nicholson from his original play. Because it is a direct adaptation by the same author, you can readily understand that the tone would be broadly similar, so that all the little flourishes which would occur on stage are captured and compressed on screen. But secondly, this is not problematic because the film does not feel stagey. Unlike Plenty, which tried to disguise its theatrical roots through clunky camera tricks, Shadowlands feels broadly cinematic and therefore when the moments of theatricality come, they do not disrupt proceedings too greatly. Be that as it may, the film is guilty of one cardinal sin of stage-to-screen adaptations - namely that there are too many locations. There is a lot of travelogue footage in Shadowlands with the camera following our characters as tiny dots on a variety of landscapes, whether it's the hills of Herefordshire or the resplendent halls of Cambridge University. The film jumps from location to location a good deal more than it needs to, in an attempt to seem more epic, ambitious and by contrived extension cinematic. It doesn't quite fall into the trap of assuming that bigger scale equals better story, but on a number of occasions it comes perilously close. The comparison between Shadowlands and Plenty goes beyond the technical accomplishments of the former. Both films approach the issues of routine and domesticity, and both feature women who don't fit into the very orderly, male-dominated world which is put before them. But what makes Shadowlands the more compelling is the dynamic of the central relationship, which in both films determines our ultimate response to the story. In Plenty, Meryl Streep's character is essentially passive-aggressive: she wants to change the world but not at the expense of moaning about how difficult her life is. This makes it more difficult for us to identify with her consistently, and we end up feeling sorry for Charles Dance having to put up with her. In the world of Susan Traherne, domesticity is a menace from which nothing productive or meaningful can emerge, and once a person has entered it their life is effectively worthless. 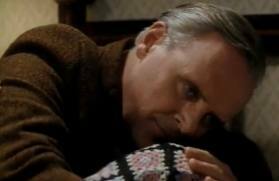 Shadowlands is a lot more subtle and welcoming, with the settled nature of its characters serving as a springboard from which pure emotion can emerge. The need for Lewis and Joy Gresham to challenge each other, both personally and intellectually, gives us both a compelling drama and hope that we have not yet past our respective sell-by dates. The great success of Shadowlands is its balance of the personal and the intellectual. The film raises a great number of fascinating theological questions to do with pain, suffering and the loss of childlike innocence, but it does not approach such questions with all the esoteric dryness of a Bible commentary. There is a rich vein of substance in the film which can be absorbed and will result in deep discussions afterwards. But the film can also be enjoyed purely as a romance, because its ideas are conveyed through characters we can relate to and conversations we can recognise. Much of the film is a debate about the role of suffering in human life - "the purpose of pain", as Lewis would put it. The film isn't afraid to confront this old chestnut of Christianity head-on, questioning the role of God in the events which transpire, both good and bad. Lewis is not immune from theological doubt, and is troubled so deeply by the loss of Joy that he erupts uncharacteristically when his academic friends try to comfort him. The early part of the film sees Lewis 'talking the talk' about pain and suffering, delivering lectures with an expression of sanguine satisfaction. But as the action moves on it becomes a film about 'walking the walk', putting Lewis' theories into practice and showing to what extent they bring comfort. What makes Shadowlands so compelling as a religious or theological film is that there are no easy answers to any of the questions it raises. Joy criticises Lewis for his style of inquiry, quipping that "every time you ask a question, you know the answer already". The film is quite the opposite, neither giving a watertight theological explanation nor settling for a sentimental cop-out. We have to come to our own conclusions about where (if anywhere) morality lies, and whether Lewis was right to believe that God could still be at work in the midst of such tragedy. His passing words, that the pain of losing Joy is part of the deal of having a full life, leaves us hanging in the best possible way as we question our own attitude towards the Almighty. 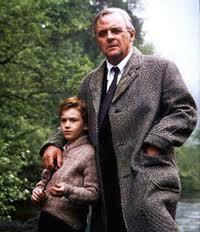 If anything, though, the central theme of Shadowlands is not whether pain is a justifiable part of life. It is mainly a film about openness, about baring one's soul and constantly questioning one's opinion of how the universe operates. The Narnia books are all about discovering and exploring fantastical new worlds, and yet Lewis himself a reluctant adventurer. His lecture on pain and suffering, which characterises God as a sculptor with a chisel, is repeated several times to show how he is set in his ways, whether by choice or unconsciously. 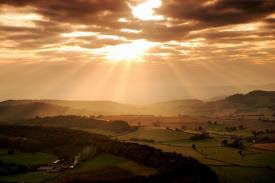 The arrival of Joy is the beginning of a long period of questioning, which results both in deep sorrow and in levels of joy which he had never experienced before. As he says to Joy as she lies dying, "you've made me so happy... I didn't know I could be so happy." 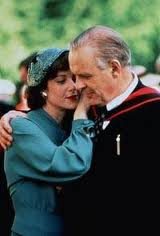 Shadowlands is a very moving film and may be Attenborough's best work, being tauter than Gandhi and more disciplined than Chaplin. Hopkins and Debra Winger anchor the film with convincing, understated performances, supported ably by Edward Hardwicke as Warney and Joseph Mazzello as Douglas. It isn't without its little problems, and it is too conventional in places, but as a piece it holds together and you find yourself getting swept up in the story. More than anything, this is a film made by someone with general affection for both the story and the characters, and it is made so well that a great deal of that affection is reflected back.